A humorous rhyming picture book for ages 4 and up by award-winning author Crystal Marcos features a distinguished little zombie who just wants to be your friend. Dive head-first into the infectiously charming pages, oozing with whimsical verse and stricken with colorful and amusing illustrations. 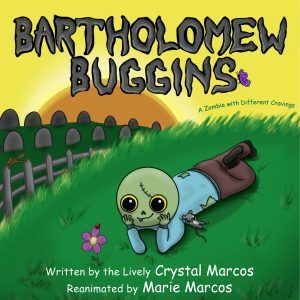 Bartholomew Buggins: A Zombie with Different Cravings is a unique, fun book that will have kids and adults shrieking with delight! Award-winning author Crystal Marcos has been a storyteller her entire life. As the oldest of five children, she had to do a lot of entertaining. Crystal is the author of two children’s books, BELLYACHE: A Delicious Tale and HEADACHE: The Hair-Raising Sequel to BELLYACHE. 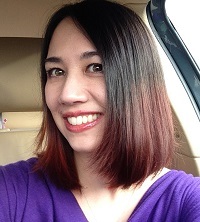 She recently wrote her first Young Adult novel, Novus (The Cresecren Chronicles, Book 1). Bartholomew Buggins is her first picture book. She lives in Washington State with her husband, daughter Kaylee, and son Jaxon.